Program #EHRB006. Recorded in Woods Hole, MA on June 17, 1995. 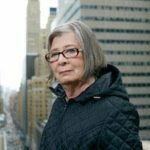 Recorded at the Z Media Institute’s annual gathering, this is Ehrenreich at her incisive best. She spoke on the heels of the Oklahoma City bombing. She points out that if that had been carried out by the Black Panthers or the Weathermen twenty years ago, “We wouldn’t be meeting here.” She traces the origins of the shift to the right, the lure of guns and growth of militias. She acknowledges the outrage felt at the government’s attack on the Branch Davidian compound in Texas and the assault on Randy Weaver’s house in Idaho. She discusses the roots of discontent: weakening of the welfare state, stagnant wages and the decline of good union jobs. She exhorts the left “to build a movement” which “hammers away at economic realities” and is responsive to the concerns of workers.